JUST TRADED HERE!!!!! 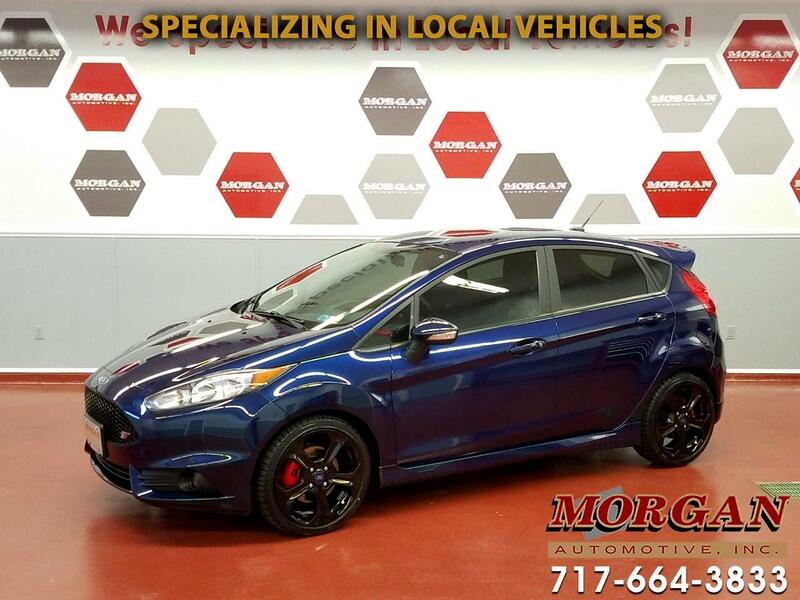 VERY NICE CONDITION 2016 FORD FIESTA ST WITH 4 BRAND NEW TIRES!! ****CLEAN 1-OWNER CARFAX**** This car comes with a 6-speed manual transmission and turbo-charged 4-cylinder engine. It is nicely equipped with fog lights, premium black wheels, touchscreen infotainment system with AM/FM/CD/SXM/CD radio with Bluetooth, ambient lighting, power windows, locks and mirrors, traction control and cruise control, remote keyless entry and leather wrapped steering wheel and shift knob. Has a current PA inspection and tires and brakes are in very good condition. Comes with the balance of the factory warranty with options to extend protection for added piece of mind. Trades are welcome and financing is available.